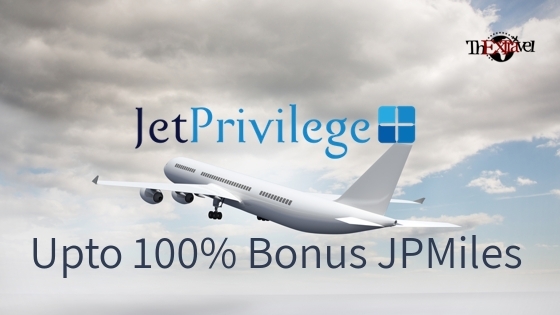 Jet Privilege is becoming generous now a days for purchasing JPMiles, few months ago they had up to 40% bonus and now it’s up to 100% bonus. Is it worth to buy JPMiles at 100% bonus? Let us take an example, an economy class return ticket from Mumbai to London cost average Rs 45000/-, if redeeming award ticket for same route, you need to have 85000 JPMiles + tax. 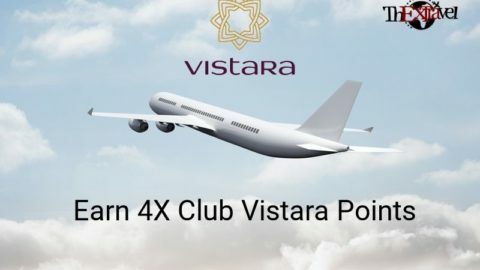 With this offer, you can purchase 42500 JPMiles at price Rs 62687.50/- which you will get 85000 JPMiles and to redeem award ticket, you have to pay approx Rs 17500/- tax. Totally you have to pay Rs 82187.50/- ( JPMiles + Tax) for same Mumbai to London economy class return ticket. 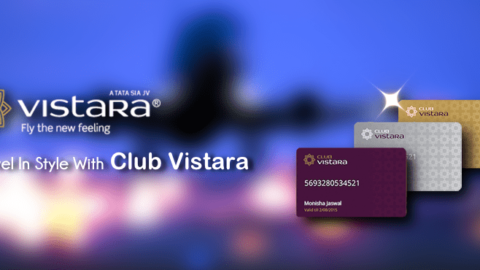 At this 100% bonus, economy class ticket is never worth. Similarly, Let us calculate for business and first class ticket for same route Mumbai to London return. 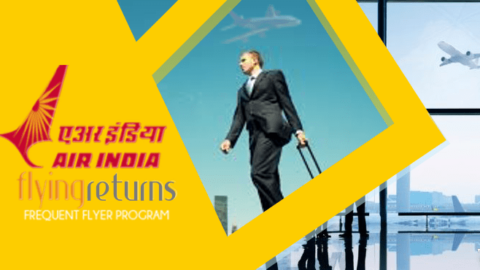 and coming with Jet Airways partner airlines award redemption, there are many routes that’s worth a lot with this offer. For example, Abu Dhabi to London first class one-way award ticket worth approx 5 lakhs can be bought less then 1 lakh with this 100% bonus JPMiles offer. 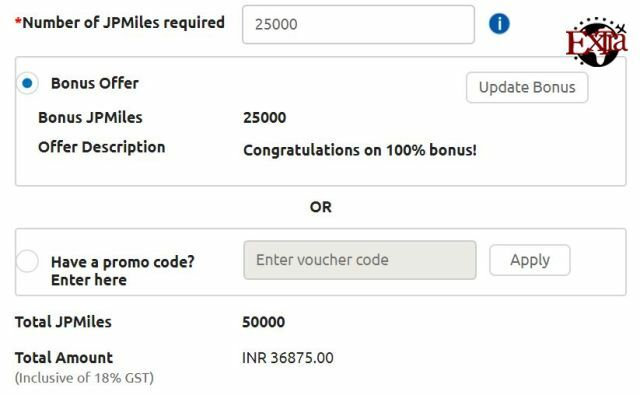 The JPMiles needed for above route and cabin class is 105000, So with this 100% bonus offer you need to buy only 52500 JPMiles which is Rs 77437.50 plus award ticket redemption tax approx. Rs 16500 totaling Rs 93937.50. Isn’t it Awesome! If you have upcoming *business class or first class trip, then I would recommend to purchase JPMiles with 100% bonus offer. Please note, award redemption doesn’t come with date flexibility.. you have to make sure dates are available before purchasing JPMiles. However, if you are flexible with dates, then 100% you can go for it. Let us know what do you think of this offer? Does really worth to purchase JPMiles?